I read this book and also have good friends who sent their 25 yr. son, Chris, to Passages. Essentially, I felt this book was an advertisement for the Prentiss’ treatment center, and while their treatment approach made some sense, it was exorbitantly expensive and unrealistic. How can an addict discover the cause of his low self esteem and addictive behavior in just 30 days? I’m 61 yo and have been in therapy for over 7 years and am just now getting to some of my own core issues. 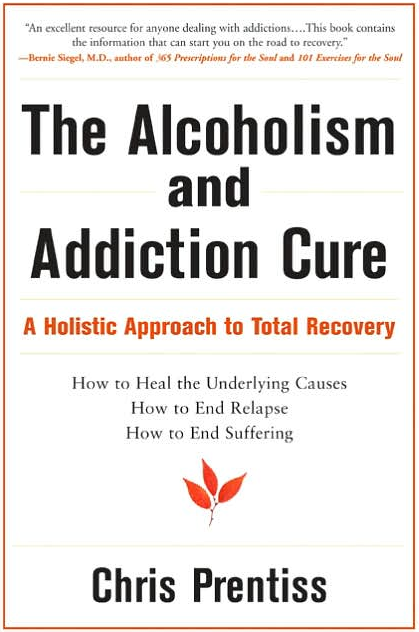 The book’s main focus that all dependency is a symptom of an underlying problem, is not a new idea. Most programs realize this basic premise, and try to address with it in the limited time they have with the client. The basic problem, in my opinion, of most treatment programs, is that they are not long enough. My daughter, should she enter in to recovery, would need a 6 to 12 month intensive program at the very least. I ‘enjoyed’ the parts of the book that related to Pax’s addiction experiences and learned a lot about heroin use/withdrawal and the power of addiction and its physiological effects. I asked Chris what he had uncovered about himself at Passages that led to his addiction – and he really couldn’t say. Chris is clean and sober today, but he felt it was more an issue of timing, his being ready to recover, than the Passages program itself. Chris’ mother, Penny, is convinced, however, that 12 step programs devastate self-esteem even further by insisting that the addict/alcoholic is powerless – and can never be cured. 12 step programs revolve around constant vigilance – a game of chase, to prevent relapse. It’s never ending – and can become the total focus of a recovering addict’s life – – – attending meetings and practicing the 12 steps purely to try to prevent the inevitable relapse. Just my thoughts . . . I did the 12 step AA program and meetings regularly for 11 years starting with 90/90. Worked well for me. I remain sober as a result although, I do not attend regular meetings today. This loss of self esteem is a new one for me. As for the 4 premises, I would think that an addict is already in a state of lowered self esteem and powerlessness when he admits he is ready to quit. I just don’t get Chris Prentiss’s point, except that he may rely on the illusion that privileged addicts who can afford Passages want to put their past “addict” life behind them; like totally out of view. I hope it works. I do think for some of them that could be dangerous. I “choose” to practice vigilance and live a clean and sober life and maintain clean and sober associations. That doesn’t mean I am afraid of those who do use to excess. I just steer away,..gently. I know who I was and who I am. That aspect on a scale of one to ten for inconvenience is a one. I don’t mind. I love a sober life. Gives me time to do many more things, not the least this website. Dadonfire. I agree that the “four points” are on track, and that most people would not be able to address them in a lasting way in 30 days. Recovery is a process that takes place over time, and multiple treatment attempts and modalities are usually part of the process. But we should keep in mind what scientific research shows is and isn’t proven to be effective with opiate dependence: medication-assisted treatment with methadone or buprenorphine is the most effective treatment for opiate dependence. Also, a sad trend I have noticed is that it often takes a person about ten years of heroin addiction to stop, IF they every stop. Its not unusual from what I’ve read. Maybe his son was finally ready. Maybe Passages is the cure. I don’t know. I just hate what its doing to families across our nation…. The real dope on scam artists Chris and Pax.